GALLIPOLIS —Two Gallipolis men were recently sentenced to time in prison for separate and unrelated crimes. Gaither was indicted for attempted aggravated robbery in April 2016 by the Gallia County grand jury. Gaither remained in the Gallia County Jail during the prosecution of his criminal case. While in the custody of the Gallia County sheriff and residing in the Gallia County Jail in June 2016, Gaither attempted to escape detention, according to Gallia County Assistant Prosecutor Britt Wiseman. Gaither pushed a corrections officer trying to exit his cell block. The corrections officer, along with assistance from other officers, was able to detain Gaither and return him to his cell. Jason A. Jones, 38, of Gallipolis, recently pleaded guilty in three different criminal cases in the Gallia County Common Pleas Court — all involving drug trafficking and/or drug possession. In October 2015, Jones visited a patient at Woodland Centers, a mental health and addiction services institution in Gallipolis. While on the visit, Jones left 0.18 grams of heroin on the grounds of the facility so that the patient could retrieve it at a later time. The staff at Woodland Centers noticed the behavior and was able to locate the substance before it was retrieved. The substance was turned over to local law enforcement and confirmed through the BCI laboratory as heroin. Jones pleaded guilty to attempted illegal conveyance, a fourth-degree felony, and received 18 months in prison, the maximum sentenced permitted under Ohio law. Also in October 2015, a search warrant was conducted on a residence on Hilda Drive in Gallipolis. Officers were originally called to the scene for a domestic disturbance. After securing the search warrant, officers seized heroin from inside a room inhabited by Jones. Officers located 0.12 grams of heroin which was also confirmed by BCI. Others on the scene were arrested for drug-related charges. Jones pleaded guilty to possession of cocaine, a fourth-degree felony, and received 18 months in prison, the maximum sentenced permitted under Ohio law. In January 2016, officers from the Gallipolis Police Department were dispatched to a disturbance at a local hotel within the city of Gallipolis. Jones, along with others, were refusing to vacate the premises as requested by hotel staff. At the time, Jones was in possession of one hydrocodone tablet. The tablet was sent off to BCI laboratory for testing and confirmed it was a Schedule II controlled substance. 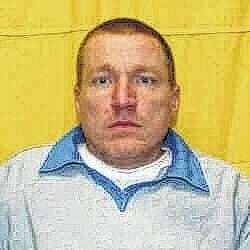 Jones pleaded guilty to possession of hydrocodone, a fifth-degree felony, and received 12 months in prison, the maximum sentenced permitted under Ohio law.